Disclaimer: This is not a sponsored post. I am in no way using this post as a means of monetization. The following opinions are entirely my own and based on my own experiences. We may live in a digital world, but the practice of sending a real paper card to follow up after a job interview is still very much encouraged. It may even be more important to send a special "Thank you" today than it was before the era of e-mail applications, Skype interviews and LinkedIn. A real card is more personal, more genuine and more memorable than any digital alternative, which is probably why it's touted as playing such an influential role in hiring decisions. However, since snail mail has fallen to the wayside in modern culture, it can take a lot of effort to follow through on sending a thank you note. You have to go out, find the perfect card, write the perfect note, address the card and then.... Remember to mail it (This is the hardest step for me, personally). In the weeks following my college graduation, I was feeling super swamped by the amount of things I had to do: Plan my move to Austin, budget for new furniture, update all my social networks with my graduation date, order grad photos... the list goes on. I also had a stack of unwritten thank you notes that needed to be sent out to the people who so generously gave me graduation gifts. And another few to send out to companies I was interviewing for a job with. While nothing can truly replace a hand-picked and handwritten card, it's really nice to have a high quality and inexpensive alternative during the times when life gets crazy. That's why I went searching the good old Google for a good card delivery service (I actually didn't even know if this was a thing, I just really hoped it was). Lo and behold, I discovered Postable, and it was exactly what I was looking for. They offer a huge variety of beautiful cards for a variety of occasions, including birthdays, weddings, holidays, business, moving announcements and more. Cards range from about $2.50 to $3.50, and they offer bulk discounts when you order 10 or more. My favorite part of using Postable is their handwritten fonts! Unlike the script fonts you find online that claim to look like real handwriting, the ones on the Postable sight actually do look legit – to the point that you can't even tell it's computer generated. Oh, and all of your return and recipient addresses are saved to your account, so you can use them again and again without having to retype anything. All in all. It cost me less than $10 and took less than 20 minutes to do. 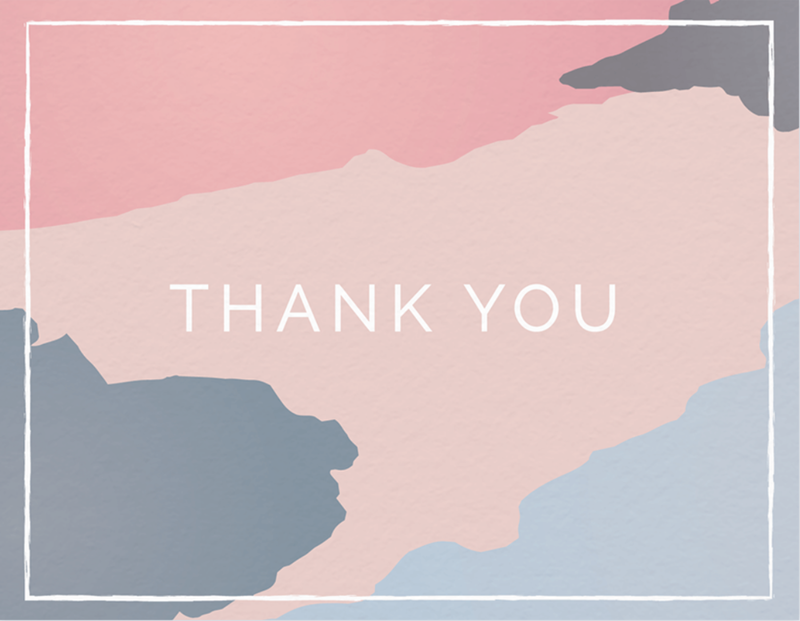 I didn't send all of my thank-you notes with Postable, just a couple. 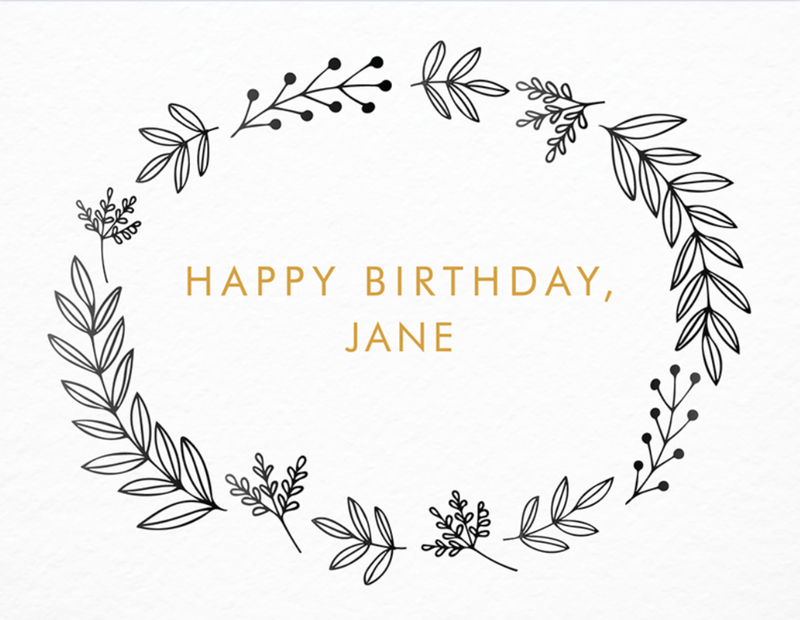 Like I said before, there's no replacement for a handpicked and handwritten card... but that doesn't mean you can't embrace a loophole every now and again (especially when that loophole is so easy to use). All you have to do is choose a card, write your message, enter your addresses and Postable does the rest. No post office trip required! Do you usually send a follow-up note after an interview? Why or why not?